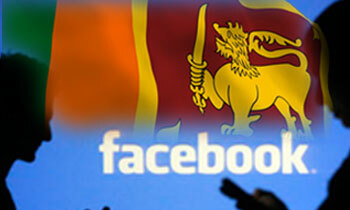 Responding to Sri Lanka's temporary ban on social media including Facebook, the company has said it is in contact with the Sri Lankan government and non-governmental organizations to support efforts to identify and remove hate speech. “We have clear rules against hate speech and incitement to violence and work hard to keep it off our platform. We are responding to the situation in Sri Lanka and are in contact with the government and non-governmental organizations to support efforts to identify and remove such content,” Facebook has said in an email to the CNBC. The CNBC article written by its Technology Reporter John Shinal was focused on how Sri Lanka did what the US can't, which was pulling the plug on Facebook over hate speech and fake news. It said the ban in Sri Lanka came after several years in which critics have said Facebook and the government were not doing enough to prevent the spread of such harmful posts. This social media ban is mainly to silence opposition and for those blaming GoSL or bad governance. Anyway, this is better than white vans and disappearences!! This was essential to stop fake news being spread by hateful people in order to curb unnecessary violence from spreading.. in the nick of time ..
Do if you can or get the Indian help. World over including face book on their services. FB's controls are inadequate. They could have done better. Its an appropriate move of the GoSL to hide all corrupts behind. Public are no fools...go ahead and see the consequences in the coming elections. No need to ban the whole thing. The govt should establish a hotline and email address where people can complain about racist accounts. And those accounts could be deleted by coordinating with Facebook, twitter and other platforms. Keep Facebook completely out and give us our craving peaceful family time, like good old days! Facebook is worse than cancer! Thing is there is a good side to social media too. It would be very hard for me to keep in touch with friends and relatives who have gone abroad or lives far away if not for facebook. I get that some individuals use social media to spread hate and negativity. But banning them altogether is not the solution. Let's not throw the baby with the bath water. Why don’t we run the country on Facebook and not ministers. It had better to controlled hate speech on social media because people release hate speech without considering the impact of the same. Also, there are people who can be converted through these types of hate speeches and they may act as idiots.